Fox in the hen house; guarding the constitution. 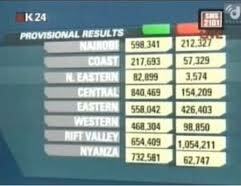 Kenya voted for a devolved government ! This statement should be all that is needed to put any concerns to rest. The constituion will turn 3 years old in August 2013 but by the looks of it, there is a risk that it may look like a malnutritioned child suffering from kwashiakor, scarvy and marrasmus by that time. This is because like the days of the ‘land grabber’ and his predecessor the ‘trustee’, legal terms like de facto and de jure may feature in our civic education texts. This time not in reference to the reality of a ‘single-party democracy’, but in reference to ‘centralized system of governace’. There is a deliberate effort to ensure that central government maintains the colonial type control of affairs at the grassroots. They simply can’t afford these emerging chants of; “nyanza si kenya” reminiscent of “pwani si kenya”. It’s not that they are afraid of IRA-type resistance tactics, but because it is bad for business. This move by Issac Ruto may seem like it is geared towards ensuring governors have full authority in the affairs of the county but in the real sense, having a governors summit/commitee that negotiates power at county level with the head of central government(president)is against the whole devolution agenda. 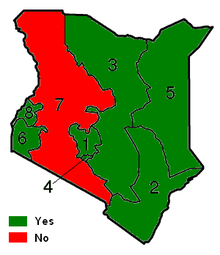 Kenya did not vote for county administration/commissions; parliament brought it in during their devolution debates and executive appointed them “unconstitutionally” acording to AG Githu Muigai. I.Ruto is on record stating that “devolution does not mean decentralization”. What we have now is a classic case of the fox guarding the hen house. There is this lie going round that one has to work with/in the government to ensure that his constituents needs are catered for. It is ludicrous to even contemplate this proposition. Especially if you are an elected official who has the fresh mandate of the people. I salute the resistance of the three seniors in the CORD coalition to ‘join hands’ with the president who is being sworn in as I pen this piece because in their actions, lies the surerity of a formidable alternative alive and ready to put the government to task in implementing, protecting and fostering the evolution of our lovely constitution. No matter how wooly the sheep’s clothing being worn by the likes of Issac Ruto may seem, it doesn’t change the fact that a wolf’s teeth and jaws are designed to tear flesh, or that wolves have an instinctive appetite for RED blood, never for GREEN grass.